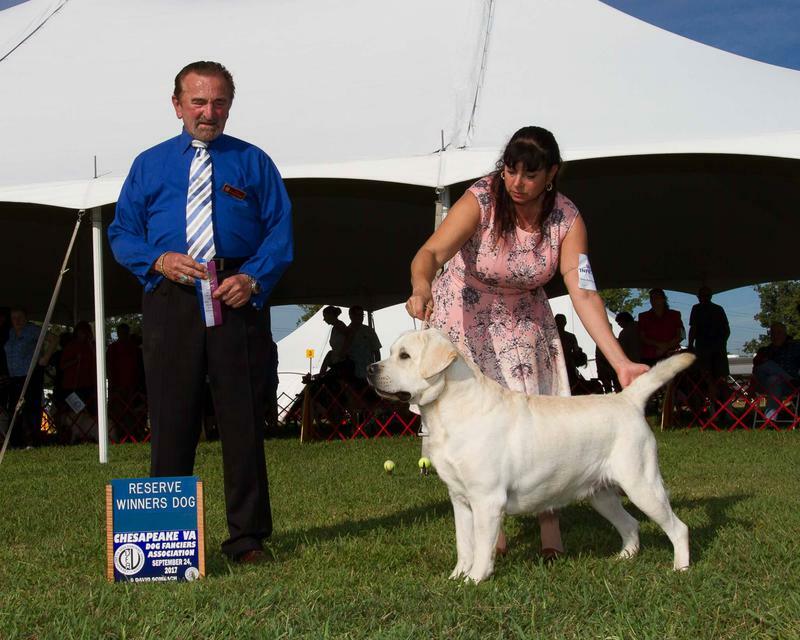 SUEBEL'S WHO'LL STOP THE RAIN "Creed"
Creed is AKC Champion pointed. We are still showing him. 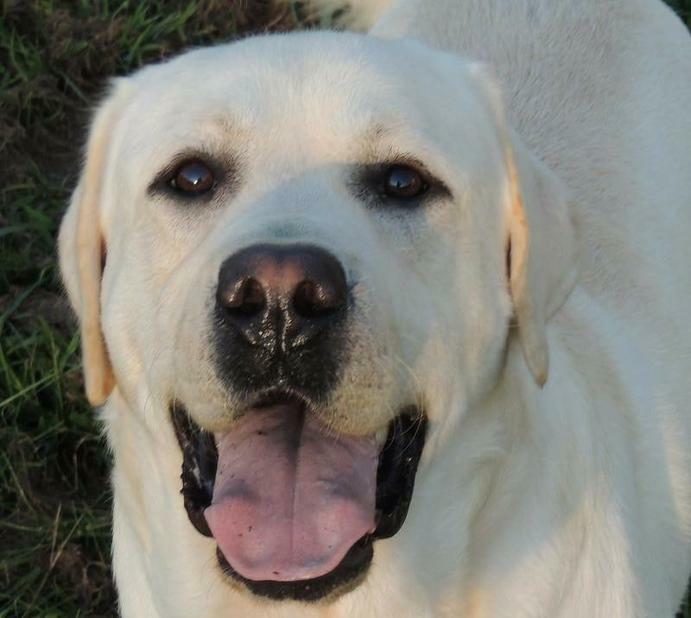 He is a very correct dog and has an amazing temperament and personality. He retrieves duck land and water and so does his children. So this super cool water lovein Goofball comes in a really LOVELY package. Creed is OFA GOOD, Elbows Normal, PRA-PRCD, EIC, CNM, HNPK clear & NON DILUTE .